Tune in for this live may 24th presentation of your favorite podcast on the internet as the original anti-think tank coalition of rebels discusses an 'Extreme zombie activity' alert issued in FL, US Airmen taking LSD at nuclear missile bases, the Royal Wedding, Amazon selling facial recognition tech to the government, Amazon's Alexa recording your conversations, how is freedom of speech affected ... See More by the new EU General Data Protection Regulations, spying on Trump, Russiagate, 'Church of Bae' (Beyonce), Katy Perry purchasing a church, Kanye #woke, and much more on this episode. Please support ACR, become a Patron and share the show page around! 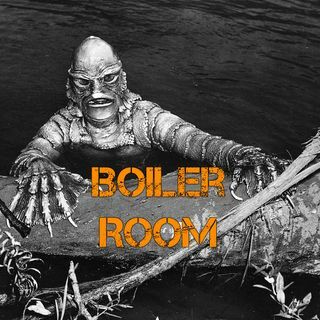 Find Boiler Room on iTunes, iHeartRadio and Spreaker.com. The incident mentioned @50:38 can probably be attributed to data collection at the level of your ISP. Use an encrypted VPNs and the cross pollination will fade away. Twitter, Facebook, and Google (and Skype etc.) hate their users and record everything about you they can 24/7 365.